As thousands took to the streets of Pyongyang to rejoice, Kim Jong Un celebrated North Korea's rocket launch in his own way -- by smoking a victory cigarette. In a photo released by the country's state-run television agency, North Korea's leader is seen smoking a cigarette and watching the rocket's path moments after giving the order to launch Wednesday. Defense officials in South Korea and Japan confirmed that the rocket launched shortly before 10 a.m. Korea time. The launch represents North Korea's second attempt to fire a rocket this year. In the country's first missile test in April, the rocket flew for less than two minutes before failing. 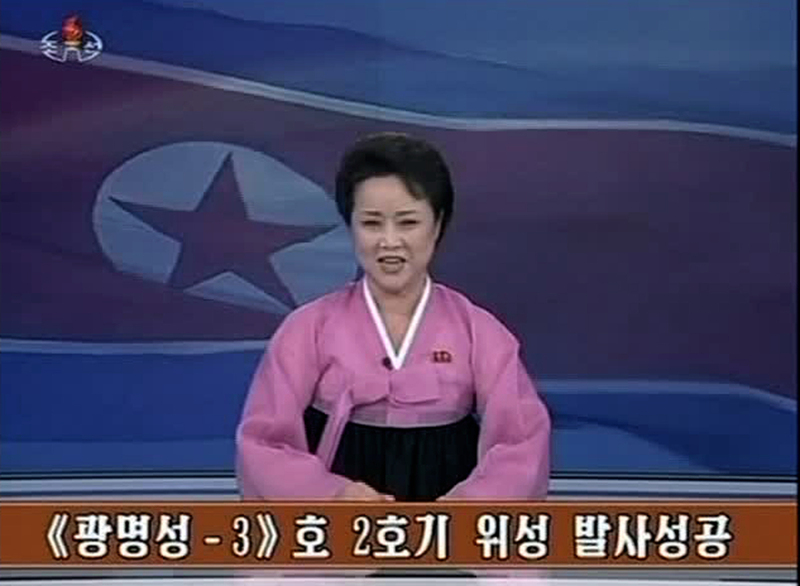 North Korea continued the celebration Friday, holding mass rallies in Pyongyang to commemorate the country's triumph. Although Kim has been globally criticized for taking such a gamble, including a condemnation from the U.N. Security Council, the successful launch has certainly earned him some points at home.